Building a geographic farm is more than sending out post cards to whomever you can pull out of the ol’ rolodex. Geo farming with purpose will help you list more FSBOs and expired leads. Agents often think that farming means they need to sell to everyone in the neighborhood. But not only is this less effective, it can also cause people to quickly turn the other way when they see you coming—out of fear that you’re going to try and sell yourself to them . . . again. This blog is the first in a two-part series that will break down exactly how you can cultivate your geo farm effectively using a few simple methods. 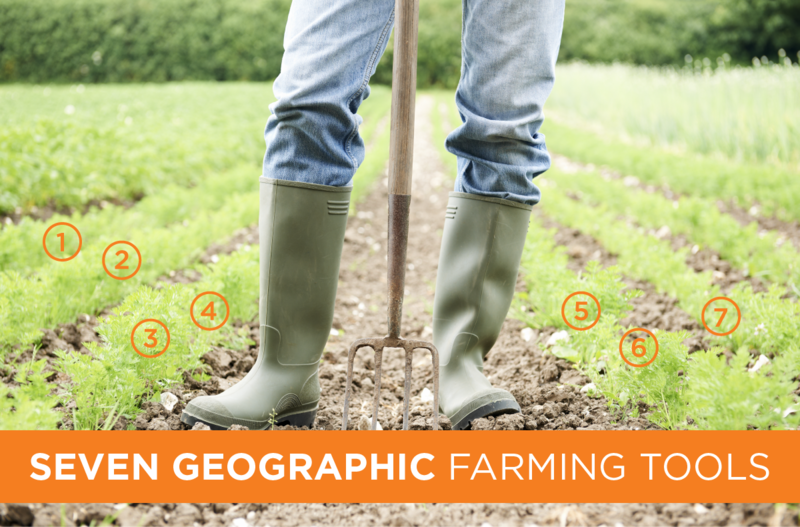 The seven strategies in this blog post outline different print and in-person marketing tools that will help you get-to-know your geo farm; our next post will detail online marketing techniques. Read on for seven ideas that will help grow your farm. These are mailed flyers, branded for the agent, addressed to homeowners in the neighborhood to notify them of recently sold or listed homes. These can generate interest when a homeowner sees their neighbors’ homes selling quickly. Open houses are a great way to build a reputation, meet new people, and drive traffic to your listings. Offering a free CMA (comparative market analysis) by either door-to-door knocking, cold calling, or direct mail can be a great way to develop your geo farm. Sometimes just telling people how much their house is worth will get them interested in selling. Doing some research and getting to know the data on your geo farming neighborhood will pay dividends. Look up changes in property values for the area and know the comps for your targeted market. Knocking doors is a tried-and-true way to build in-person relationships. Greet your neighbors with a warm smile and friendly handshake. Introduce yourself, get to know their families, drop off some branded materials, and ask for referrals. See-and-be-seen is the core of successful geo farming. Take advantage of local events; these are great places to meet people and build relationships in a non-threatening, neutral location. Offer a community or neighborhood newsletter, whether it be a printed or digital version that you send out regularly. Provide a useful service that will introduce your name and contact information to the community that you want to target for marketing. People love to know what is happening in their area. Take the data, like number of homes built and sold and the average price per square foot, for your geo farm and have a graphic designer display it in a visual infographic, then broadcast it out monthly or quarterly. This is a great tool to combine several of the ideas above. Disperse your infographic to your geo farm through direct mail or the neighborhood newsletter you’ve created. You could even take them door to door or rent a booth and pass them out at a community event. The possibilities are endless.